If a startup grows quickly enough, there are sure to be many positions that need to be filled. While it’s tempting to hire immediately, Zoraida cautions this approach. She explains, “Don’t hire out of desperation because you really want to take your time screening resumes, doing phone interviews and coordinating visits with the people like the managers and supervisors.” Even though you need more people, it’s important to make sure they’re the right people. Because as Zoraida explains, “Sometimes you just want to hire the first person who walks in the door, but that can hurt you later if you find out they don’t have the skillset or don’t fit the culture.” Go through the hiring process the proper step-by-step way, even if it feels slow. Sometimes growth is unpredicted, but other times a startup likely knows beforehand that new people will be needed soon. Don’t wait until the need arises; start early. Zoraida explains her company’s method to do just that: “We started partnering with some recruiters and some staffing agencies to be proactive. We’d explain that in the next few months we would need so and so position to be filled. What can you do before-hand? Do you have any candidates lined up that would fit this position? Please send him to us.” A big point if you take this route: make sure to stick to the deadline you give the job candidate. Not everyone is willing to wait around after delays, and if your candidate gets hired by someone else that means double the work for you. Zoraida explains that your company culture is important from the very beginning. Many start-ups will have the mentality that “‘No, we’ll put this on hold. The funds aren’t there. It’s not within our budget.’ But before you know it, your employees start leaving because you didn’t develop them. They no longer see the need to stay with this company” and go someplace else. Don’t wait to create a rewarding culture until it’s too late. Prioritize creating a strong culture, even if you don’t have an abundance of funds. Just as important to the culture are the employees themselves. When an employee feels valued, he or she is going to be more likely to stay. One tactic Zoraida uses to increase appreciation is promoting from within the company. She points out that “It might be just a lateral move or within the same department, but just change the title around. 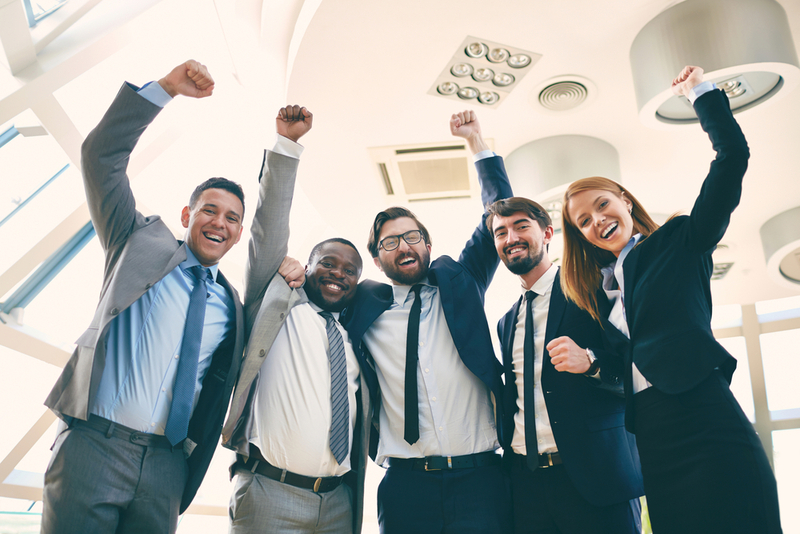 It makes the employees feel good because it feels like a promotion.” A change in title creates a clear way to see that the employee has moved up in the ranks. Obviously, this tactic cannot be used all the time or employees will wonder why there is no pay raise to accompany their new title. However, a title change can be a great method to increase employee morale. A huge part of retention is about how engaged the employee feels at work. Zoraida explains it well when she says, “Those employees you have hired, don’t let them stop learning and being challenged. Don’t let them get bored. Encourage them to do their best. Offer conferences or seminars they can attend on the employer’s dime, and have them find time to sign up.” If your employee is bored, he will hate coming to work. And if he hates coming to work, he’ll likely find some other place to be. Benefits are also a great motivator – not just package benefits like a 401(k) or dental insurance. Instead, Zoraida explains that rewarding employees for work well done is another great retention device. “We started appreciating our employees for their hard work by giving out gift cards. If we knew an employee would be traveling, we gave a spa package to him and his wife and surprised them with a nice hotel stay.” Paying for a one-time benefit such as this will show the employee he is valued by the company, and it will linger in his mind for a long time. An even simpler benefit comes with having a strong culture: don’t be afraid to engage in social outings. Within Zoraida’s company, “Once a month, there was a team gathering off-site whether it was Topgolf or whether it was just attending a baseball game.” If the employees are friends, it will be more difficult for one employee to make the decision to leave. Putting in simple measures to engage employees creates stronger retention and happier workers – the perfect win-win. Later, if your company grows to the point that it can offer more benefits and a reward bonus structure, that’s even better. But offering simple benefits in the meantime can still engage employees and promote company retention. If you’d like to reach out or have any specific questions for Zoraida, feel free to send her an email at tzcast03@gmail.com.